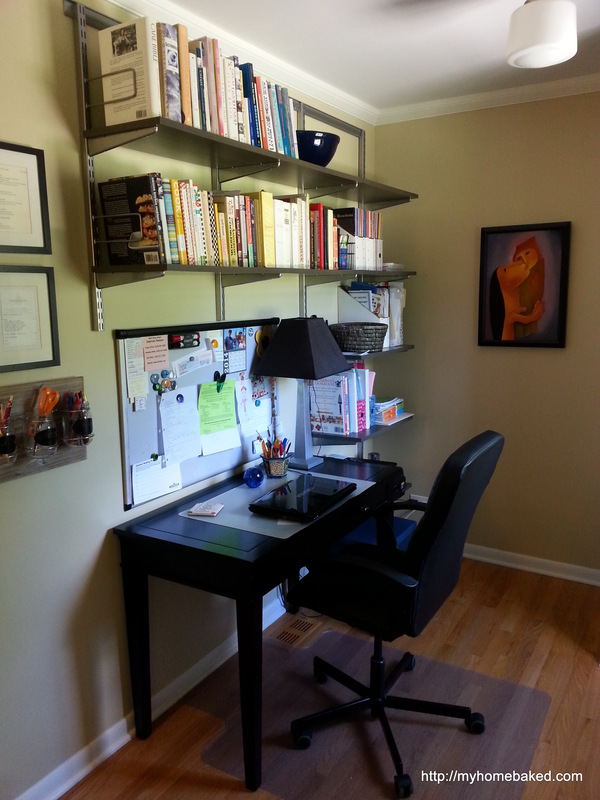 One of my goals this summer was to reorganize the kitchen office area. DONE. On Friday I got the ball rolling by sorting and filing (and a lot of recycling) the horrible pile of paper that had accumulated in the corner. On Saturday the Hub decided to push on and finish the job. He pulled everything off the shelves (something I couldn’t do myself: heavy books and magazine files + recovering spine = NO) and wiped all the dust. 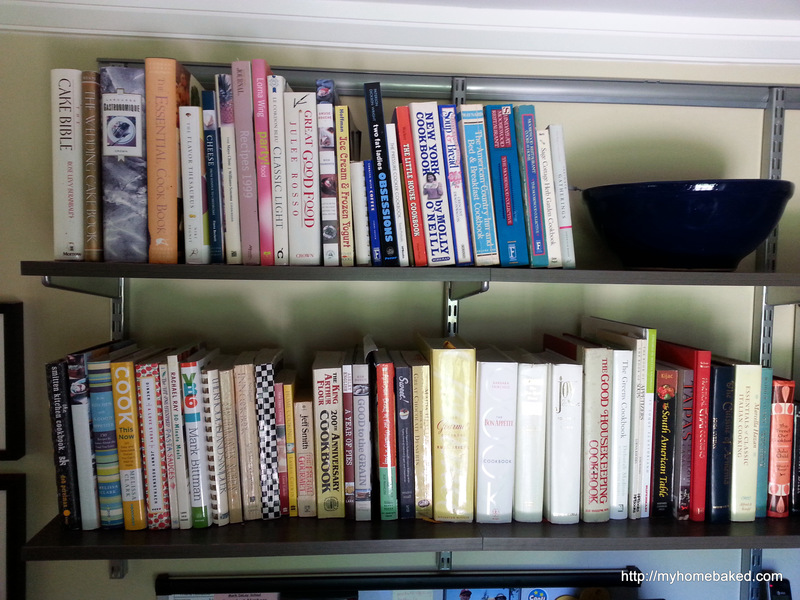 We took a few minutes to sort through the cookbooks. We agreed on a couple to donate and loosely categorized the rest before putting them back on the shelves. Nearly all the cooking magazines got relocated to the basement. I spent a couple hours sorting through the kids’ school file boxes, mostly tossing stuff, but saving a few things for posterity. I dedicated one shelf to their summer schoolwork and one shelf for my files and some office supplies. I put away (or threw away) all the other bits and pieces that had piled up on my desk and shelves. I even cleaned off my memo board. Finally, I hung the new organizer that I got for my birthday. Since that project took the better part of a day and a half, I’m not really motivated to take on another big thing right away. I’d like to reorganize and clean all the kitchen cabinets, but that sounds huge. 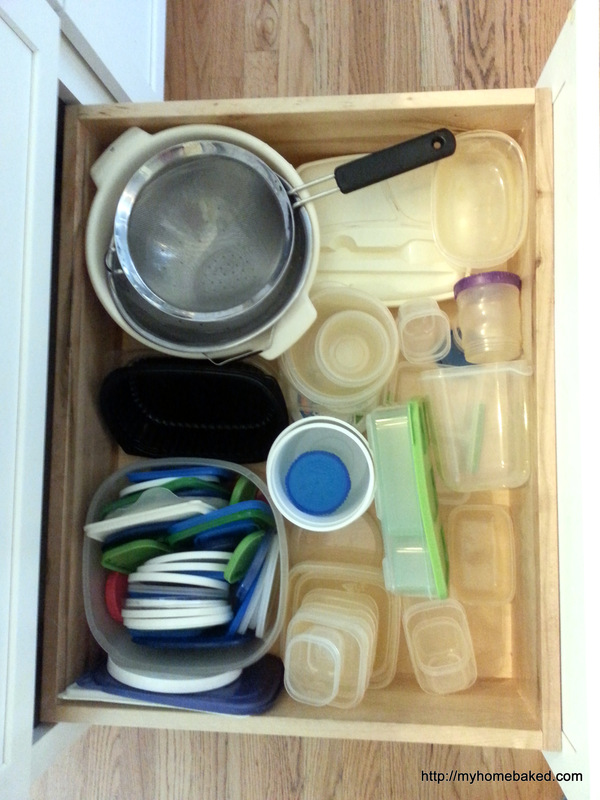 Instead, I decided to clean out just one kitchen drawer. That much I can handle. It doesn’t look that bad. 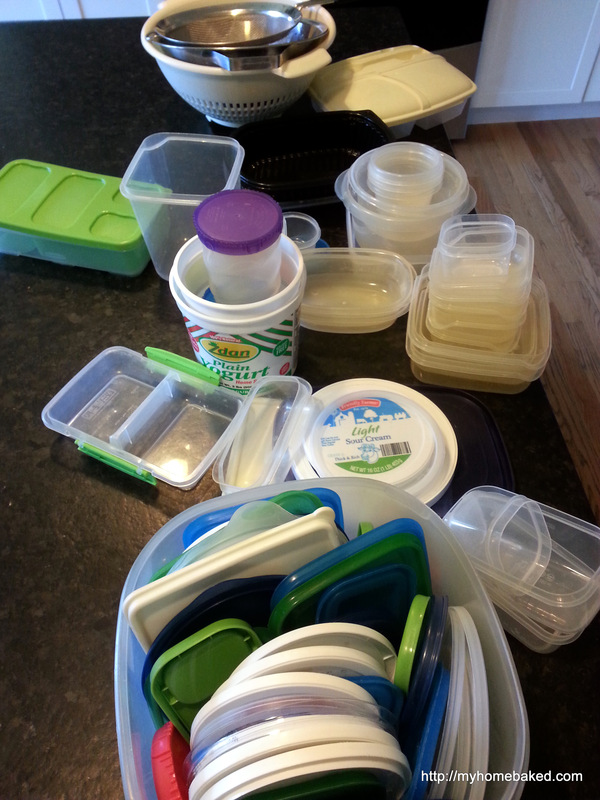 But there are a bunch of lids without containers, and containers without lids. I also wanted to make room for some plastic mixing bowls in a spot where the kids can reach them without help when they’re cooking. 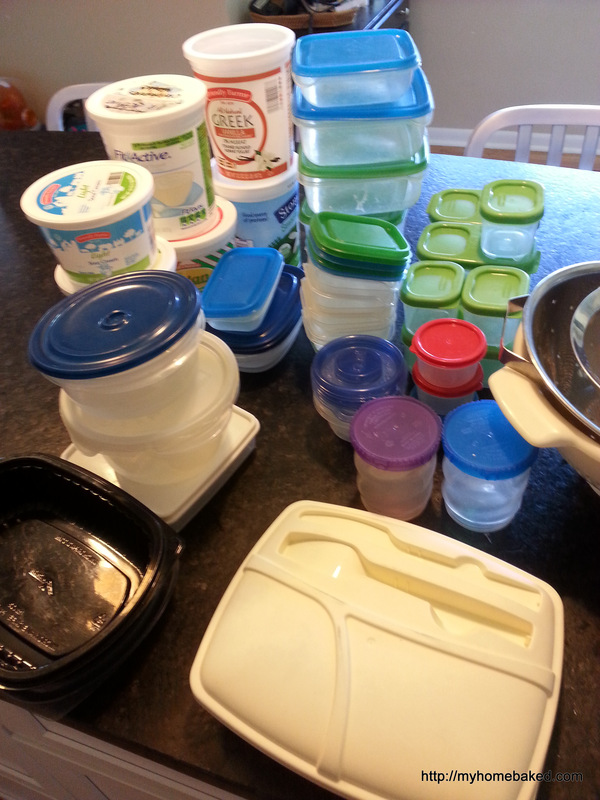 All the matching containers and lids put together. Anything without a mate got recycled. Everything back in. 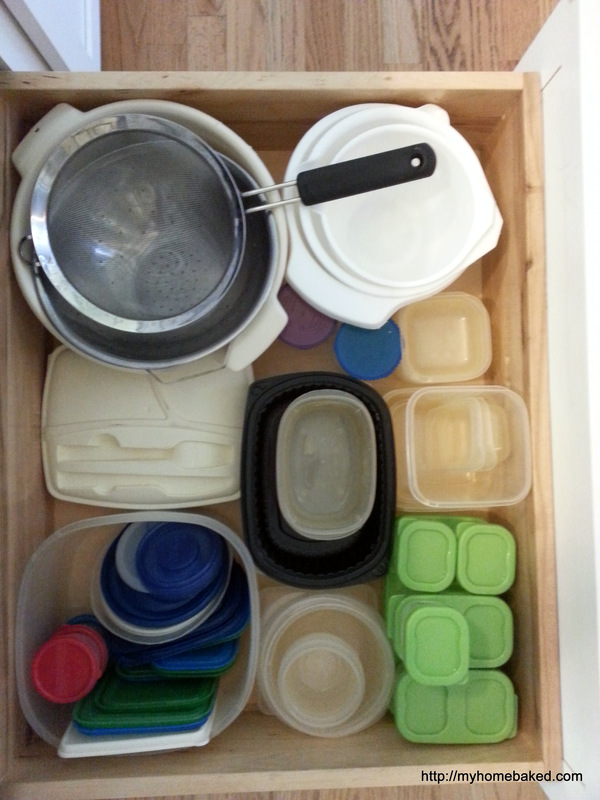 There are a bunch of containers still in the refrigerator, but all those have their matching lids, and I’m certain they’ll all fit back into the drawer. I only kept a few yogurt containers with lids, and put them in a bin in the pantry. I use these for freezing homemade chicken stock, but don’t need them every day. Boring but satisfying. Kind of like cleaning out your purse or the trunk of your car. 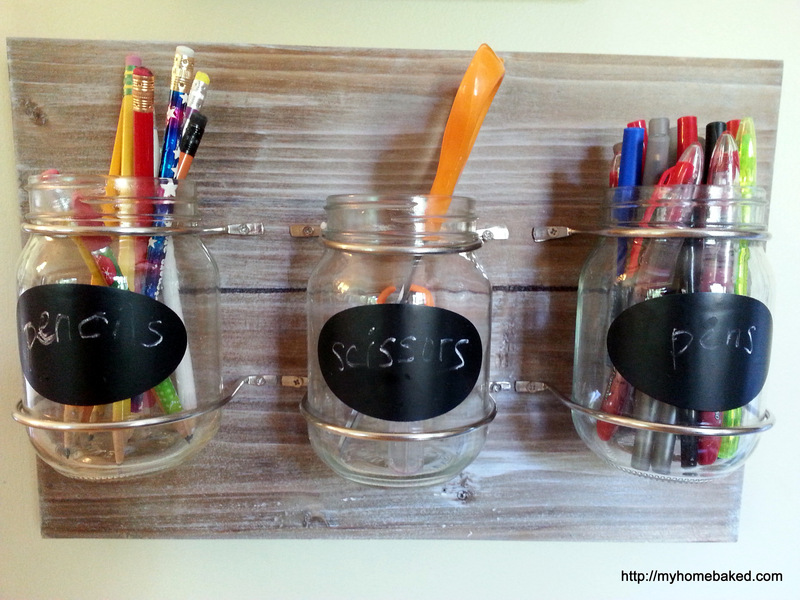 I think the utensil drawers will be next.